Anonymous in Art & Photography on 27 November, 2016. The Royal Academy’s exhibition, ‘Abstract Expressionism’ is gigantic and, at moments, overwhelming. A disparate revolution, paintings range from tiny Pollock friezes to dominating late Rothko. It is wildly beautiful art. The phenomenon of America in the 1940 and 50s – unbound and unlimited by the constraints of the canvas and the bonds of the normal experience. In this diverse movement, where a consensus on its essence and its artists can only be grasped at, two truths should be remembered. Its history can be traced back to the minds of the European avant-garde. And here, the aesthetics of traditional African sculpture and design was an influential force. Among artists such as Picasso, Cezanne and Braque and the wider School of Paris, the work became a central exchange by which the craft and function of African art could be exported across the world. For much of the twentieth century, this interest was often described as Primitivism, a term that implied a value of non-Western art that is now seen as heavily problematic. Where to start in assessing this dialogue? 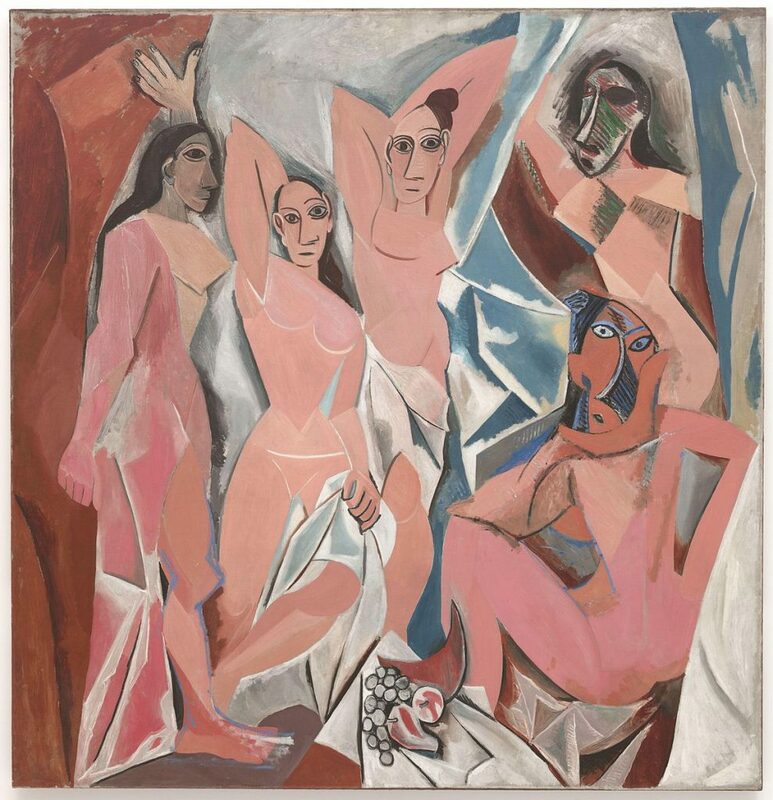 Picasso’s ‘Les Demoiselles d’Avignon’ is where Cubism is roughly understood to have been born. Here, bodies are located in fluid space and whilst representing some bodies in profile, he also depicts the eye from a frontal view. For Picasso, African sculpture had provided him with some artistic purpose. He would not trivially delight in decorative images but instead reflect and mediate between objectivity and the creativity of human inspiration, for the indeterminate to be “exorcised” by an articulation of form. Indeed, the main source of Primitivism in the avant-garde art was African art. The African sculptor would playfully manipulate the mimetic figure of the image to express an idea about it. Picasso tuned into this, trying to express an ‘idea’ about something rather than its optical comprehension. Where exam boards have lazily forfeited school students the chance to study History of Art, the discipline remains crucial on this front: a thorough understanding of the full continuum of the aesthetic developments of modernism reveals traditional African art to be a vital component. Through practice of ‘Art History’ the Primitvist worldview, which still pertains in streams of academia today, can be safely disposed of the in the past. The Art world has greatly benefited from globalisation and is now a world that includes contemporary African artists such as Malian photographer Seydou Keita and Ghana-born sculptor El Anatsui. When their work can be heralded, we should also be able to able to clearly mark the influence of African design on Modernism now over a hundred years ago. This would leave any attempts to carve a divide between Western and Non-Western art as redundant.